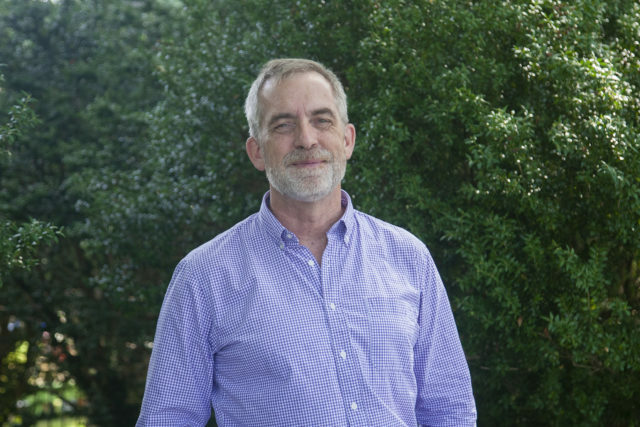 Sabot at Stony Point announces Tom Bendel as its next head of school, effective August 1, 2019, upon the retirement of Irene Carney, the current head of school. Bendel currently serves as the head of school at North Jakarta Intercultural School (NJIS). His educational career began in the field of student affairs, and he continues to focus his leadership on whole-child experiences. Bendel is long-experienced in writing and implementing foundational school policies, procedures, and schedules, and has even helped to establish a Reggio-inspired preschool at NJIS this year. Committed to the challenges of defining possibilities and unifying a team to achieve them, Bendel honed this skill throughout his career in education and before that as an officer in the U.S. Navy for two decades. He believes, “organizations move forward most effectively as collaborative teams of people working together to achieve common goals,” and he attributes much of his success to working as both a leader and team member of dynamic groups committed to things bigger than themselves. Bendel previously served as the head of upper school at the Rabun Gap-Nacoochee School in Georgia and as Dean of Student Affairs at The American School in Switzerland, supervising at various times all the academic and non-academic programs at those schools. Emerging as the top choice from the more than twenty qualified candidates identified through a local, national, and global search process, his deep experience as an educator and leader and his passion for students and progressive education were clear. Ultimately, Bendel was the unanimous recommendation of the search committee, and he was unanimously approved by Sabot’s board of directors. In an example of how small our world can be, Bendel considers Richmond his home. Bendel and his wife Jen, who met in Richmond thirty-five years ago, will be moving back to their home in Chesterfield and will be close to their adult children in the area. Bendel will begin working at Sabot on June 3, 2019 when he will serve as the incoming head of school, working side by side with current head of school Irene Carney, who has served for twenty-five years. He will officially become head of school on August 1, 2019.